1. February 29, 2016 is Rare Disease Day. A disease is considered rare if less than 200,000 people have it. Check off which is true for you. 2. Intestinal pseudo-obstruction is a rare disorder and is talked about in the movie, Miracles from Heaven. Check off which is true for you. 3. 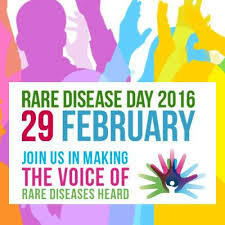 Do you acknowledge Rare Disease Day if you have or know someone with a rare disease?